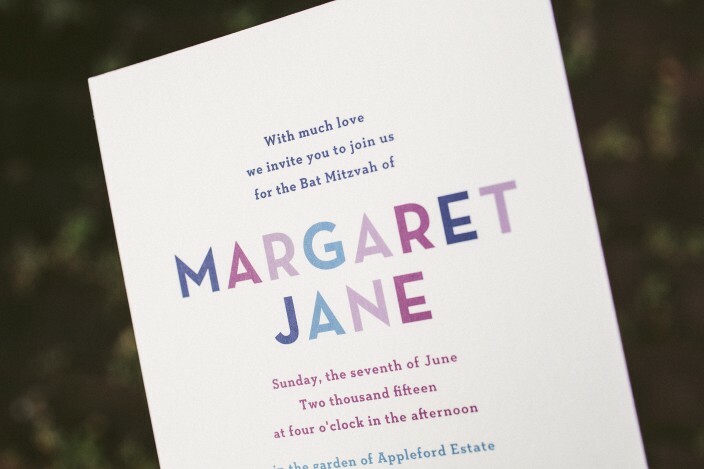 bat mitzvah invitations - Smock. 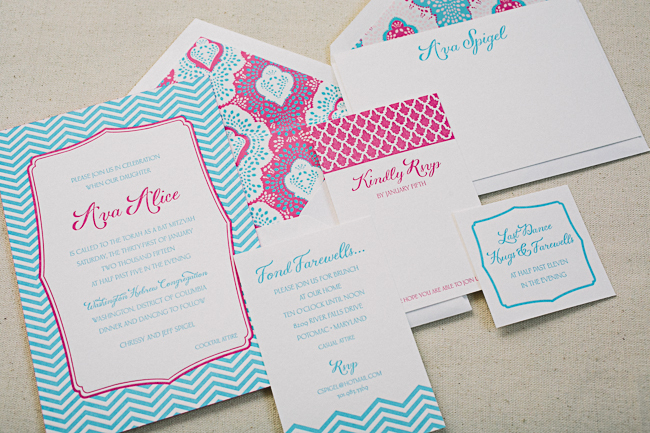 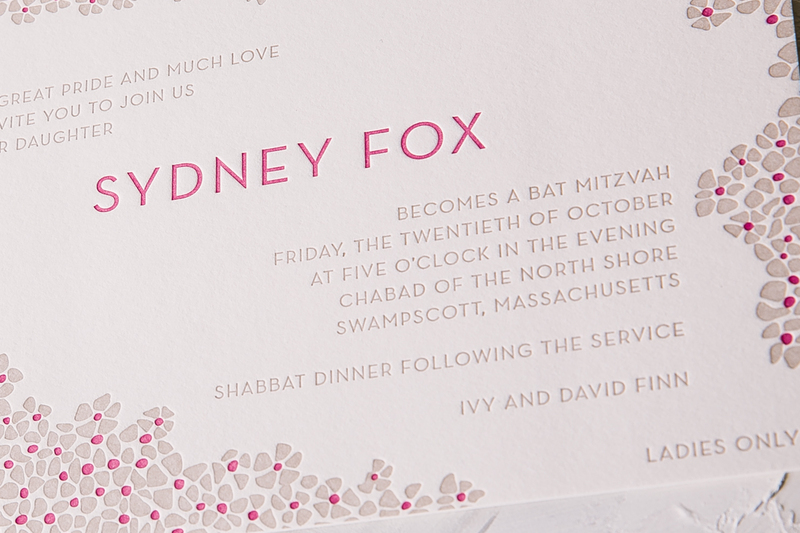 We completely transformed our Vista design to create Rachel’s pastel Bat Mitzvah invitations. 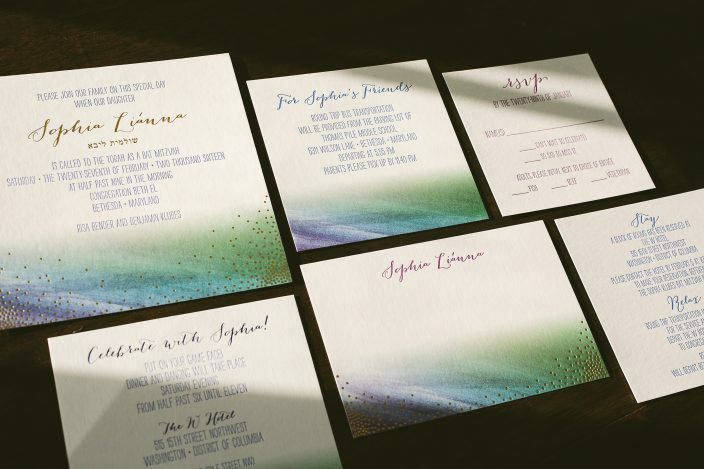 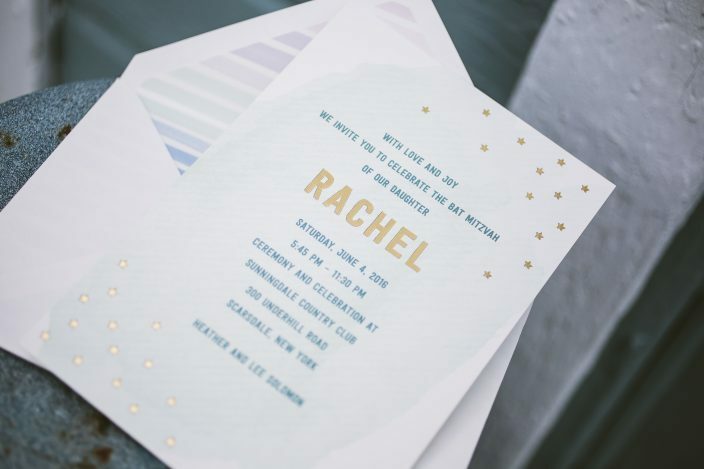 An ever-so-subtle wash of digitally printed sea mist ink gave a soft, ocean-like look to the main invitations, while gold matte foil highlighted Rachel’s name and gave a glowing effect to the tiny stars sprinkled throughout the design. 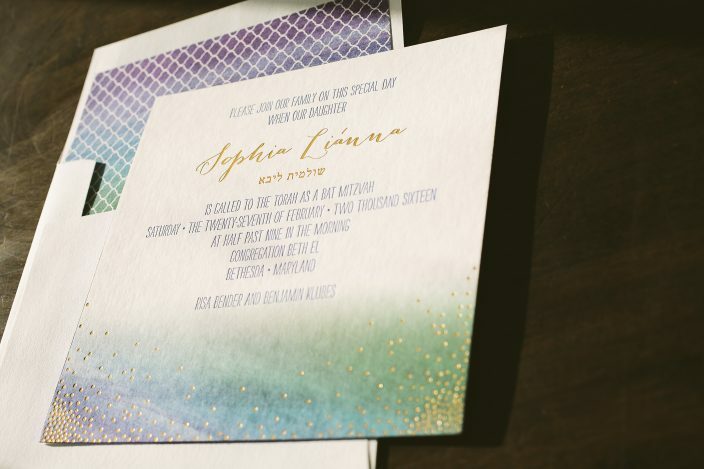 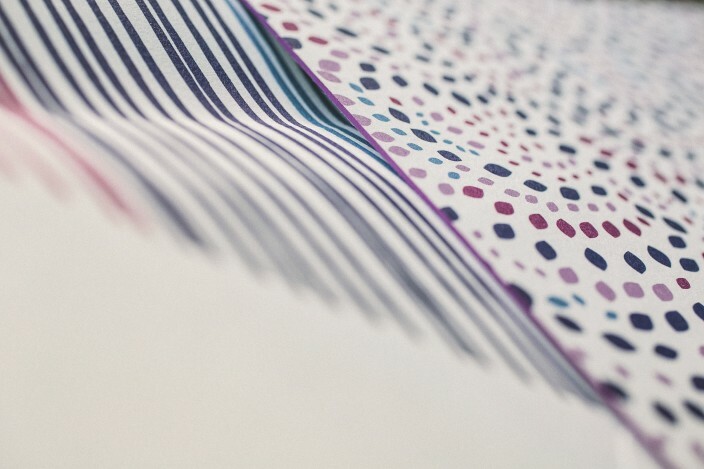 A striped watercolor envelope liner featured a gradient effect starting with varying shades of blue at the bottom and transitioning to the palest shade of purple at the top. 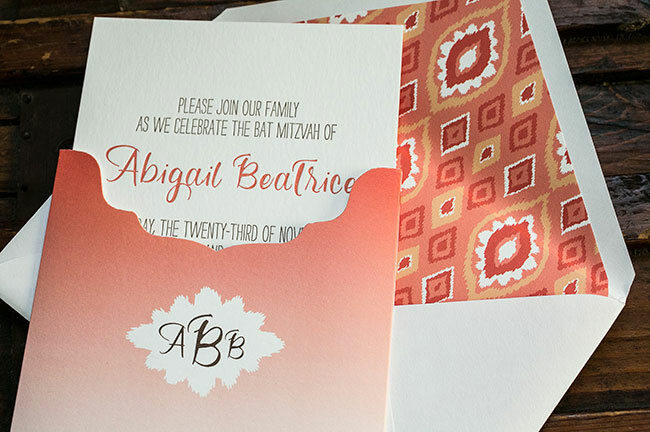 Papaya and mocha ink paired together beautifully for Abbie’s letterpress Bat Mitzvah invitations. 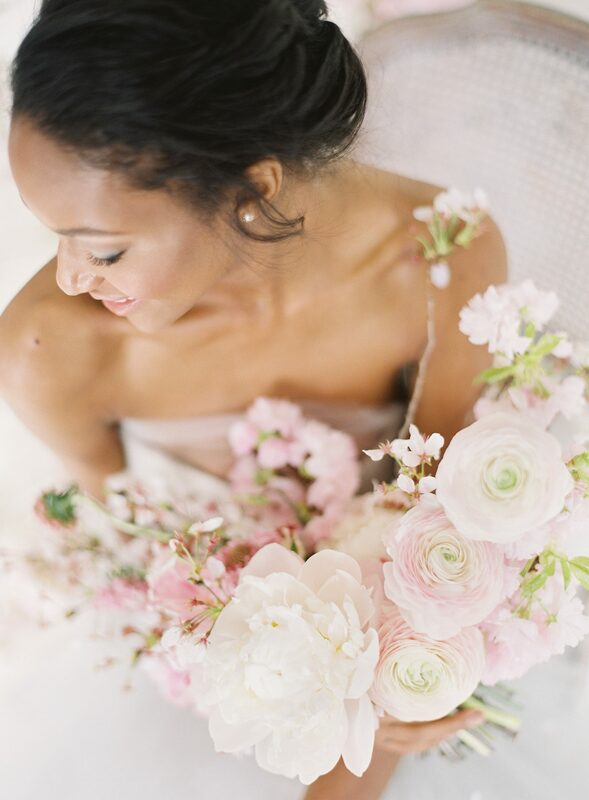 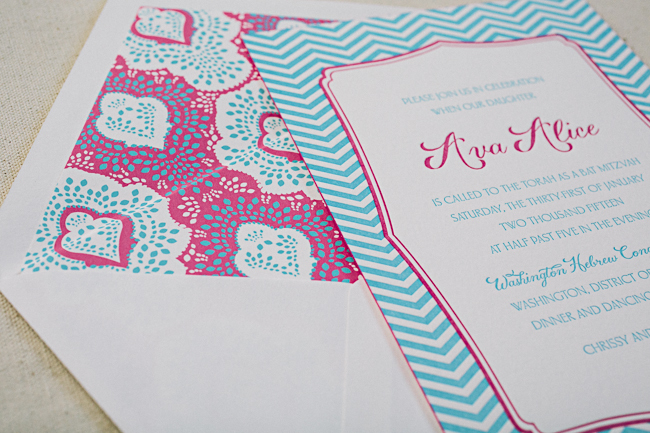 We customized our Amira design for the occasion, and created a coral ombré sleeve to match. 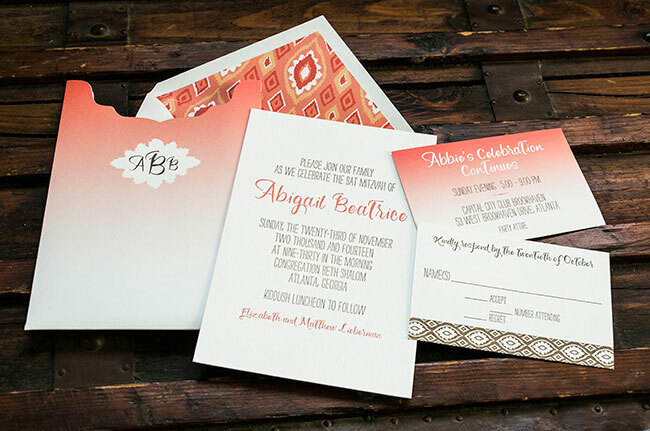 Our Talwara patterned envelope liners added a hint of Southwestern flair, which complemented the sunset inspired invitation sleeve and party card perfectly. 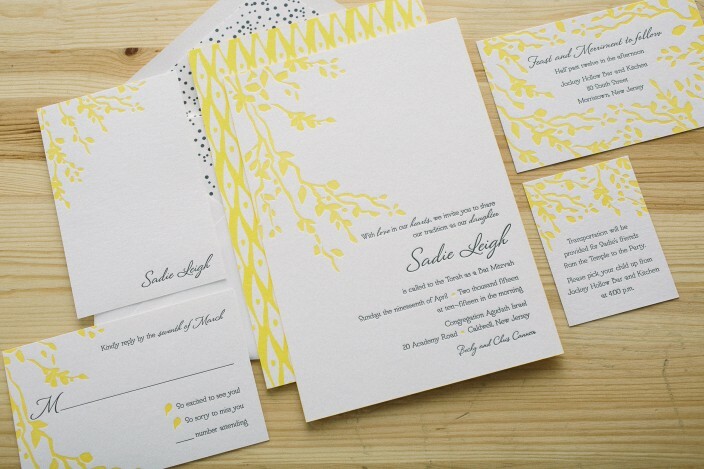 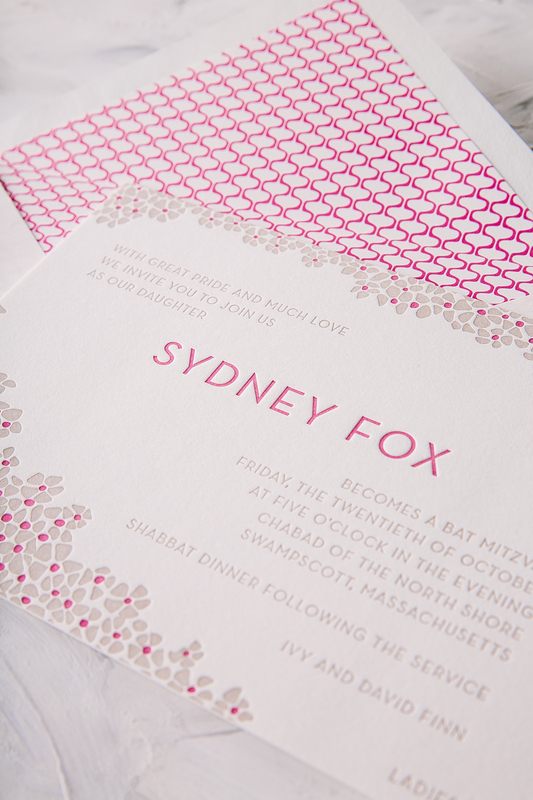 For Sadie’s Bat Mitzvah, we customized our Robson design with a sophisticated color palette of yolk and midnight inks. 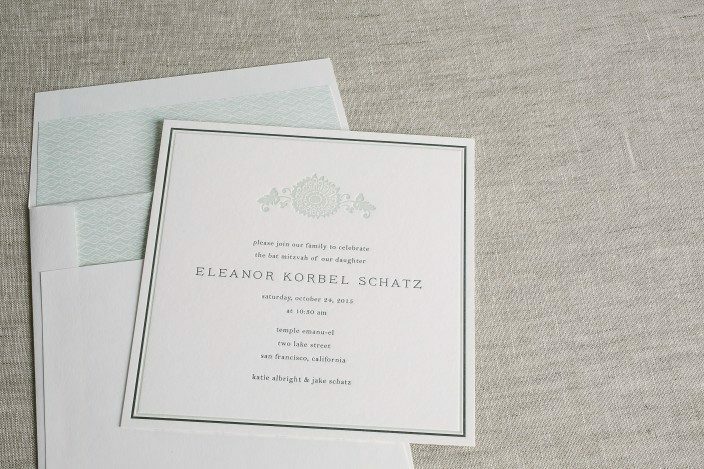 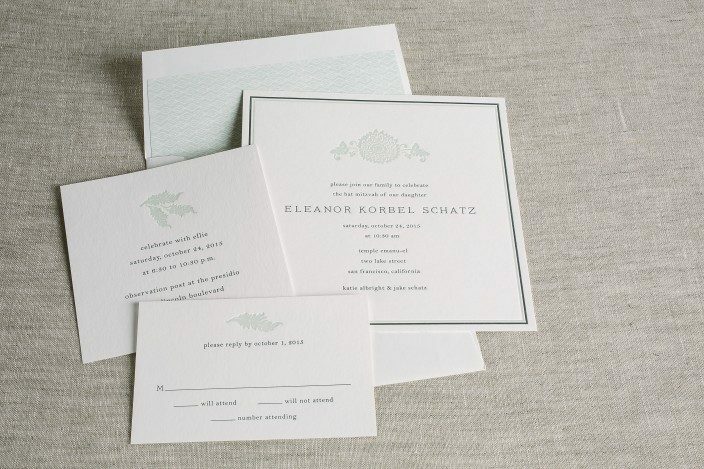 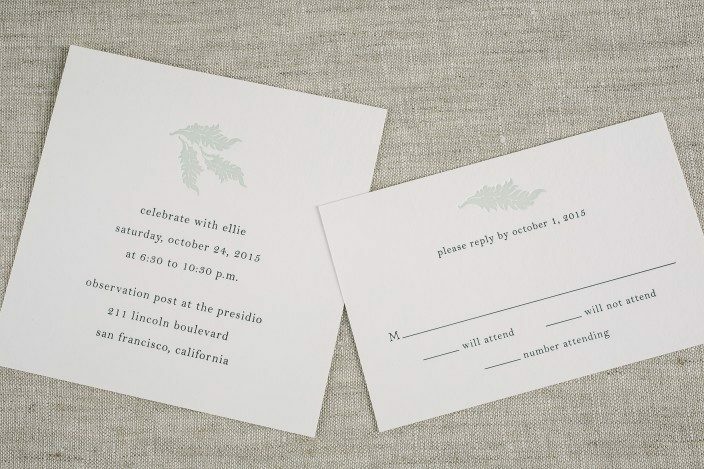 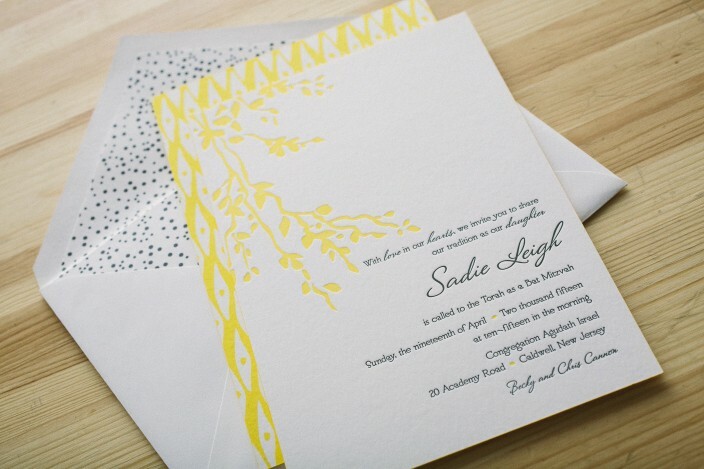 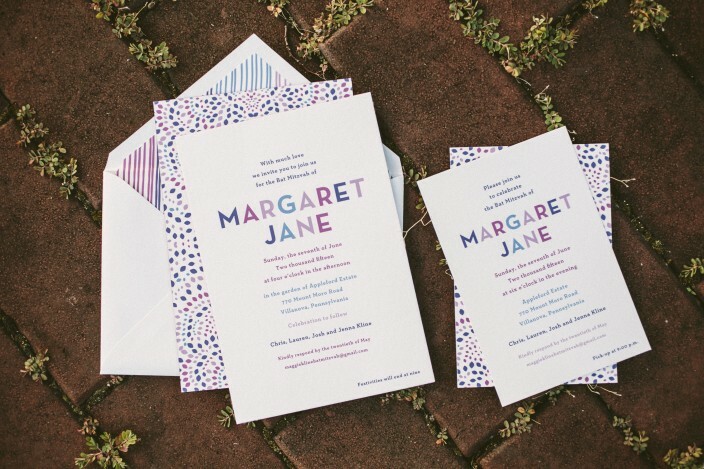 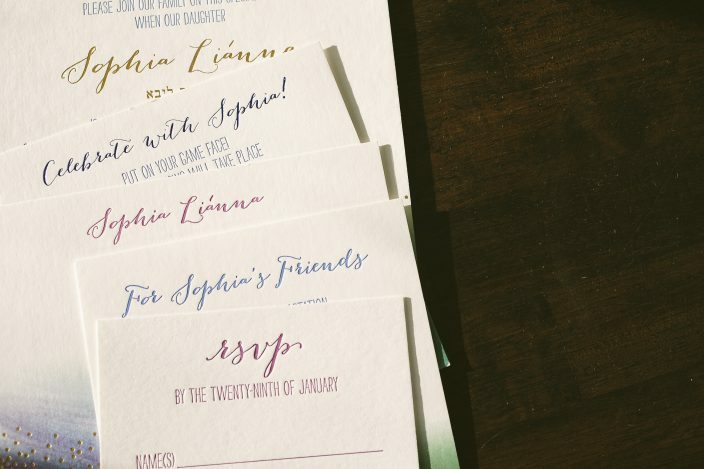 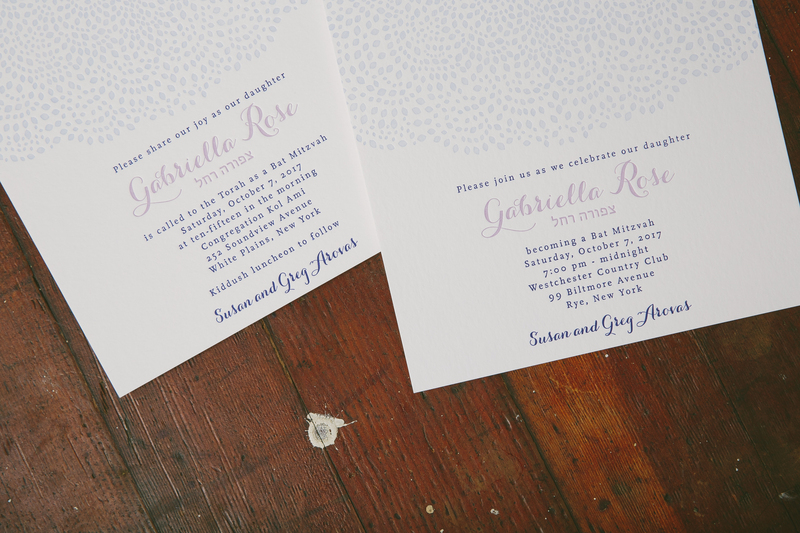 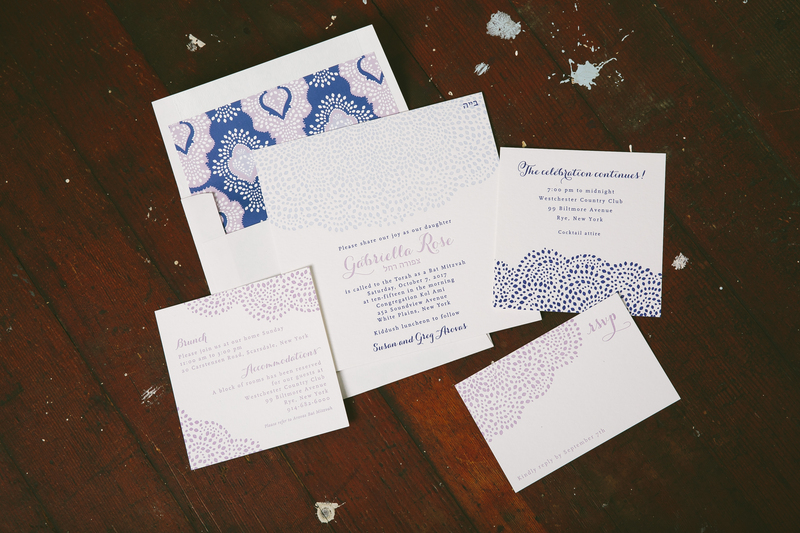 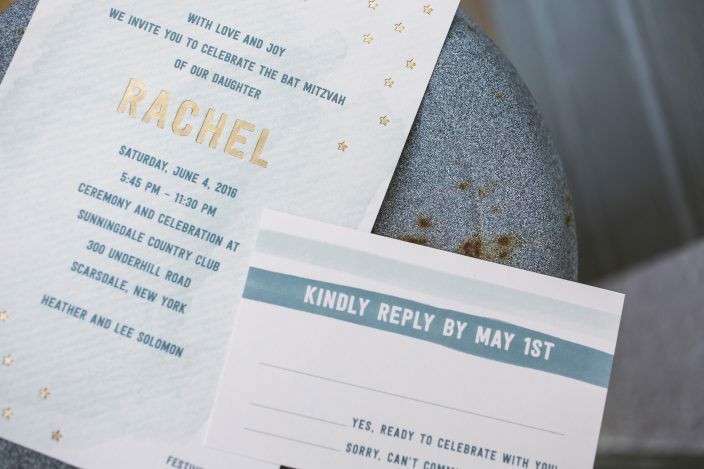 The suite included Sadie’s letterpress Bat Mitzvah invitations – complete with a vibrant yolk patterned backing – along with reception cards, reply cards, a petite transportation card, and a flat social note. 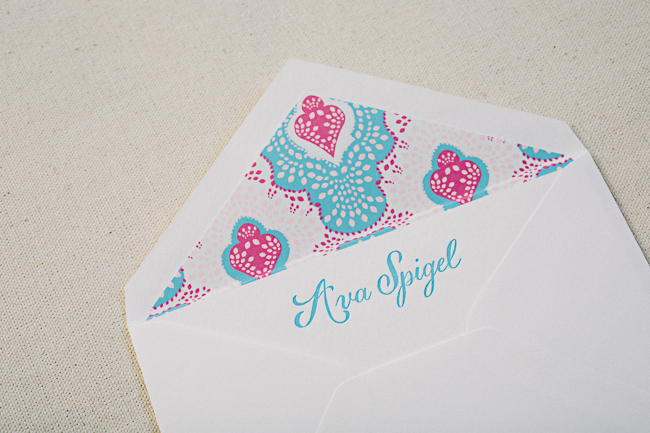 Finishing touches included a pearl patterned envelope liner, yolk edge painting, and a custom postage stamp design to match. 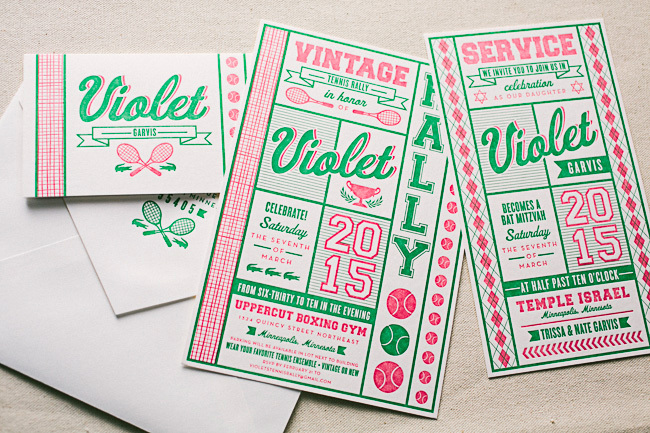 For Violet’s tennis inspired Bat Mitzvah invitations, we created a custom design influenced by preppy vintage tennis apparel – think 80’s country club, with brands like Lilly Pulitzer and Lacoste inspiring the look. 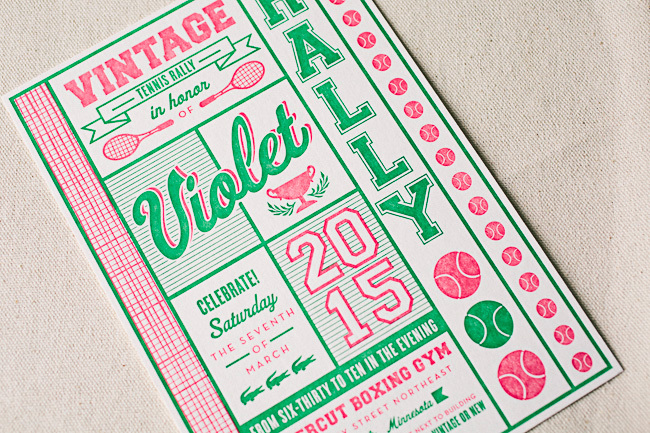 Complete with argyle and alligators, the design layout mirrored the lines on a tennis court and was printed in a bright pink and green color palette.To bring the design to life, guests were encouraged to dress in their favorite tennis ensembles. 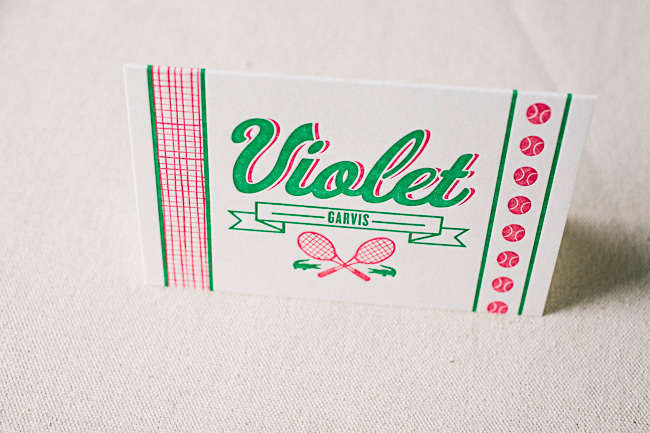 We love the way this custom design reflected Violet’s passion for tennis — and really, who can resist such a fun reason to dress up? 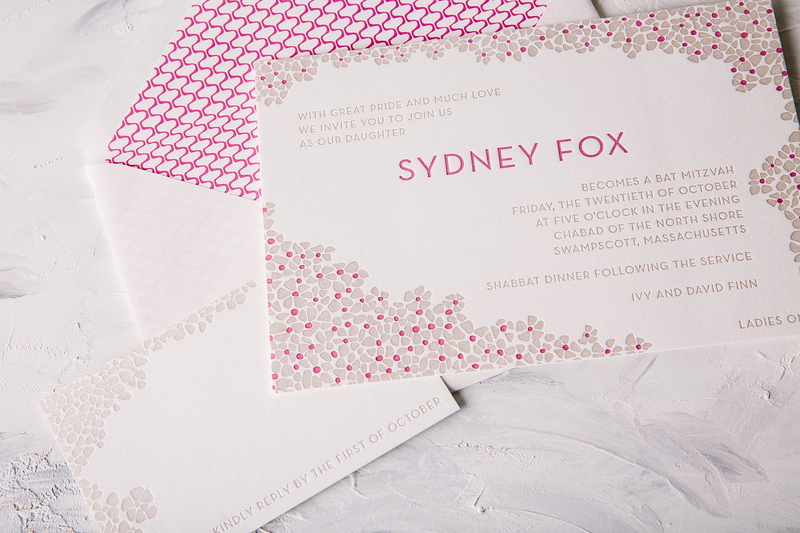 Letterpress printed in a vibrant color pairing of hot pink and Robin’s egg blue, this customization of our Roxbury invitation is both festive and fun. 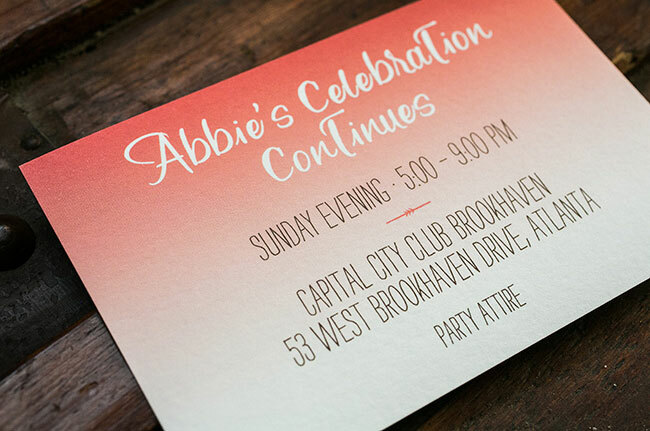 We created reply cards, a party card, and a brunch card to accompany Ava’s Bat Mitzvah invitations, along with simple social notes to match. 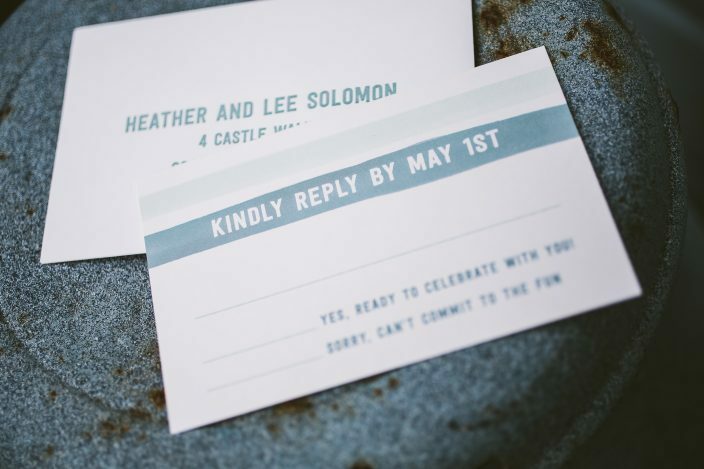 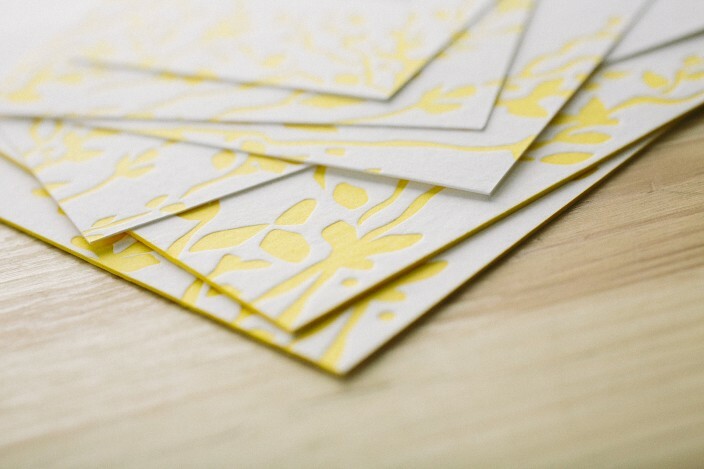 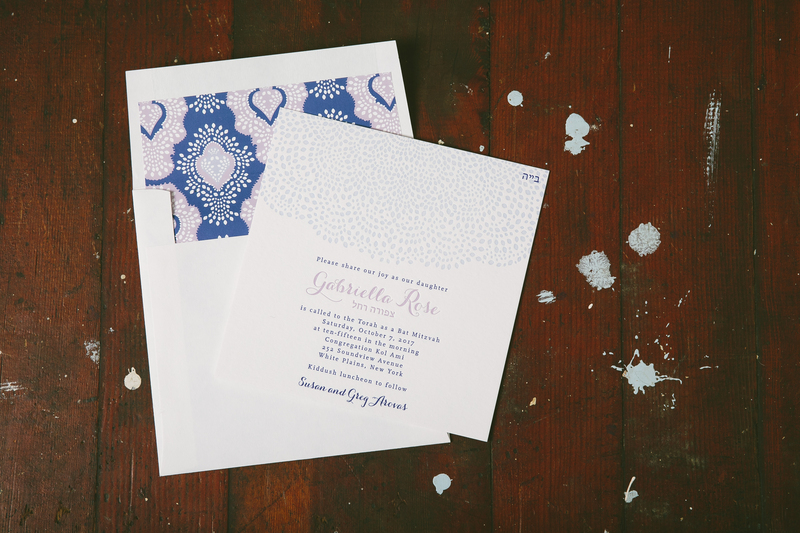 Each piece was sent out in style: the invitation and social note envelopes each featured colorful patterned envelope liners, and we even created a custom stamp design to match the set!